This oriental sauce is a fantastic accompaniment for Chinese starters. 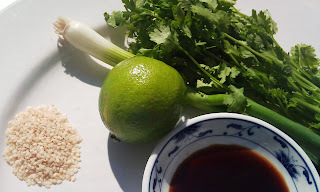 The classic combination of soy, sesame, spring onion and lime work great together. 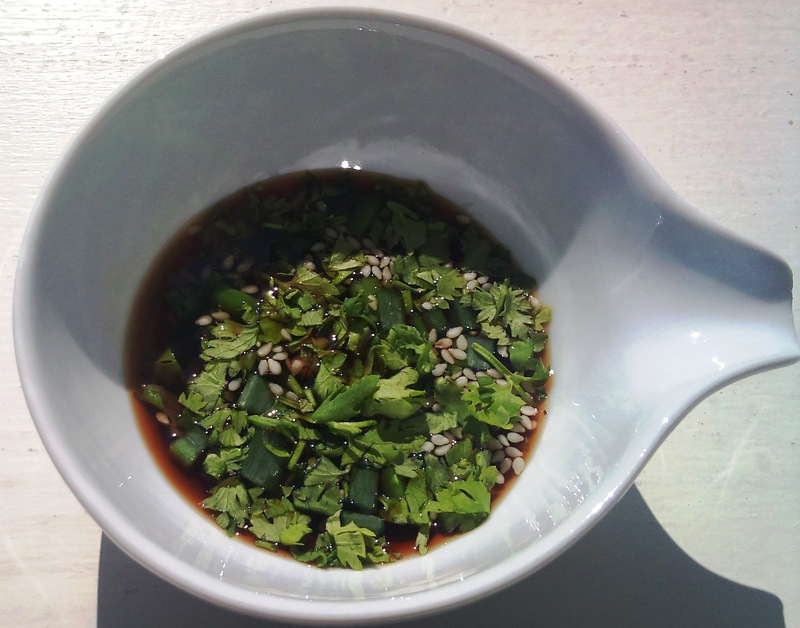 The sauce is perfect to serve in dipping bowls with Oriental Meatballs, Vegetable Spring Rolls or Wontons. It would also work well poured over boiled/steamed rice or instant noodles. Alternatively drizzled over mixed lettuce leaves as a quick Asian salad. The recipe will 2 portions to serve with starters. • ½ teaspoon of chili flakes (Optional if you want to spice it up!). Combine the soy, water and lime juice and mix together in a small bowl. Add the sesame, coriander, sesame oil and chili flakes (if using). Stir again and serve. Musings of a med student..